When it comes to monitoring Office 365, what’s in your monitor matters. Not all approaches or tools make sense for everyone, but everyone needs to have more than just the “monitoring” that comes with Office 365. 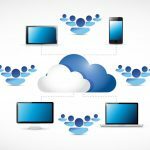 This article will discuss some of the 5 ways to monitor cloud services like Office 365. In an October 2015 study conducted by Wakefield of 900 global execs of companies with $500M or more in revenue, 83% said they felt troubleshooting Apps in hybrid IT environments is difficult. Selecting the right approach to monitoring will greatly ease that burden for you. Whether you’ve just started to gather info about monitoring your cloud services like Office 365, or are already using one of the approaches described here, it’s critical you understand what these different approaches can and cannot do for you. A number of Exoprise CloudReady customers found us only after learning the hard way that the approaches they were relying on didn’t do what they thought. So that doesn’t happen to you and catch you off guard, here’s a look at the five most common approaches to monitoring your hybrid Office 365 services, and what each approach can and cannot do for you. 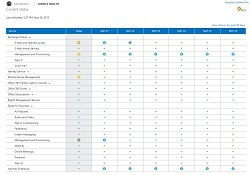 Microsoft and other cloud providers monitor their own data centers (of course!). They communicate their status to you on the Service Health dashboard and they let you consume this status and messages in other tools such as OMS or SCOM. 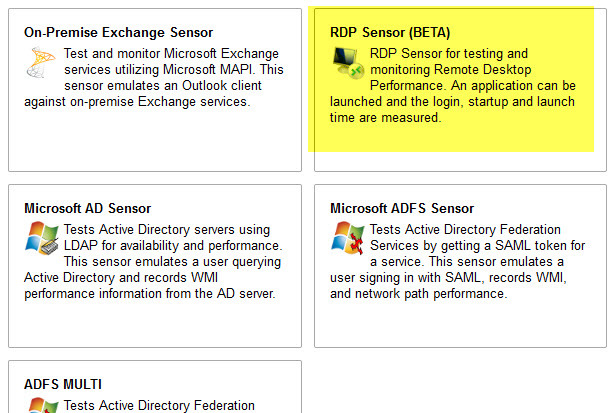 They also let us (Exoprise) and other 3rd party O365 monitoring tools present that status via an API. There’s additional monitoring available from Microsoft and 3rd parties too that is more about activity reporting than monitoring. For example, reporting on mailbox usage, top senders, etc. Microsoft continues to raise the bar on this type of administrative and user activity reporting challenging many of the third party tools that had filled in earlier gaps. This approach stops at the perimeter of the Microsoft cloud. It can’t tell you about all degraded or disrupted service that affects your users. While activity reporting can tell you about usage, it does not monitor end-to-end and it can’t see your on-premise infrastructure like proxies, network hops, firewall, or ADFS health. 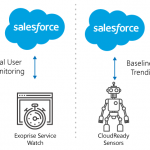 It does not alert you as soon as they detect that a service has become degraded – usually its minutes or hours after the fact when a large percentage of customers have complained about an error or outage. Sometimes it alerts you to incidents that don’t affect your tenancy. That means if your users are complaining, it might be a Microsoft issue, but maybe not. Since they can’t alert you if the issue is on your end, and there’s a delay before they alert you if it’s on theirs, supplementing this approach with something else is essential. 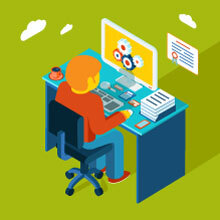 Some third party tools run from the cloud and constantly check the status of your tenancy. This approach will capture issues with the service even before Microsoft updates their dashboard. This approach is the one way to get earlier notification when its a problem on their end. Depending on what tool you use for this approach, it can also test things like ADFS or other Federated SSO. Some tools will also confirm whether a Microsoft incident actually affects your tenant or not, which is one less thing you need to worry about in your already busy day. This approach can’t tell you about end-to-end issues from the perspective of where your users are, so will miss many issues that only involve on-premise, hybrid components or networking. Other things it can’t do depends on what tool you use. Some tools implement this approach with simple network pings or only executing the newer Office 365 RESTful/Graph APIs. Tools, like CloudReady, execute full workflows emulating end users to test the capabilities of real aspects of the service such as sending/receiving emails, working with OneDrive files, and much more. Make sure you understand how the tool gathers its monitoring data! This approach captures issues including some that are only visible from your own infrastructure and its connection to the cloud. That is especially crucial if all of your user’s network flows thru your datacenters. With this approach you can measure the impact of proxy and firewall, local DNS, and see the affect of the ISPs or Express routes between your datcenters and the Microsoft cloud. With this approach you gain the ability to detect issues outside the Microsoft cloud. 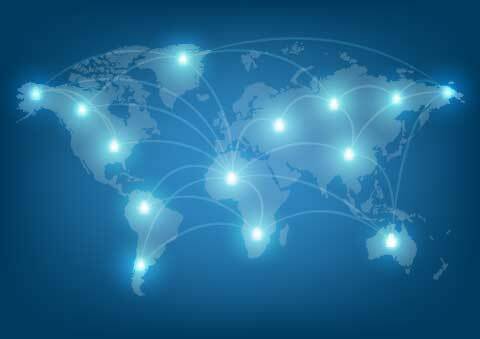 This approach can’t tell you about end-to-end issues closer to your physical locations, which could be many network hops away from your datacenter where lots of things could go wrong. Additionally, most datacenter networks are higher quality then end-user networks, and they typically have different network policies. Again, how your tool monitors still matters. 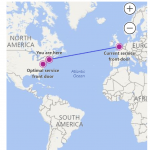 Just because you are pinging outlook.office365.com from your datacenter doesn’t mean that email is being delivered or Skype for Business calls are good quality. If you use this approach, make sure your tools monitor the right services the right way. Monitoring from more of your “ends” in the end-to-end equation gives you much better visibility with a chance to “see” much more of the end-to-end infrastructure. Just one of 20 locations having a problem? Then you know it’s a local ( or local ISP ) problem. All of your inbound email is slow everywhere – then it could be Microsoft or your inbound email filter. As your monitoring gets closer to where your users are its even more important that your tool monitors the tasks your users do. It’s still important to remember that exercising the end to end infrastructure while doing real user activities is more meaningful than just monitoring the network. If widely deployed into all critical user locations, there’s not much it can’t do to measure end to end health of the O365 services being monitored. But there are a few. Even the most robust tool that exercise apps like users do won’t see issues users have with their client devices or configs. Also, because this monitors service health not servers – this approach won’t test every server in the MSFT cloud at all times. Finally, monitoring at the end-user endpoints is another approach. When you deploy this kind of monitoring you can track local metrics such as CPU, memory, I/O, network utilization and possible application crashes. Some tools try to capture user experience (response time) per application .exe, for example, how long it took to start Outlook, and how that affected CPU, memory, etc. That’s great for isolated issues based on user application or device configurations. Since most tools that implement this approach only see what’s going on inside the user device, this approach can only alert you after a problem has started and has affected someone. Further, this approach does not monitor how the end-to-end infrastructure between the user device and the service is behaving. That is in contrast to approaches that are proactive and consistently exercising the end-to-end path and typical interactions with the Office 365 services from key vantage points in the cloud, in your datacenters, and within key locations across your organization. As the adoption of hybrid O365 services in enterprise and mid-market companies continues to accelerate – so does the need for IT pros within those organizations to adapt their IT Service Management process and tools. It is insufficient to rely only on Microsoft’s free stuff or only passive monitoring of user devices – both of these miss most of the infrastructure that needs to be healthy to deliver a solid user experience. 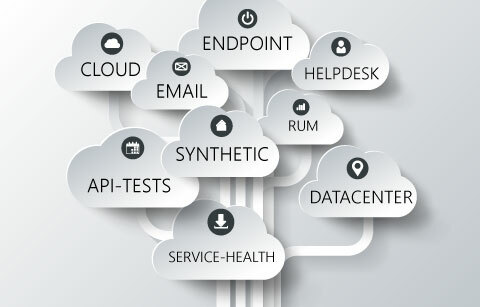 CloudReady supports all of these approaches. Its up to you to determine how much of each makes the most sense for your organization and budget. CloudReady can provide a single pane of glass not only for hybrid services like all Office 365 right down to the user device, but also for any of the scores of SaaS, hosted, web, and network services your enterprise relys on. Can your monitor do that? Mark Yohai leads Sales for Exoprise. He loves helping IT teams avoid getting nasty calls from their SaaS app users.